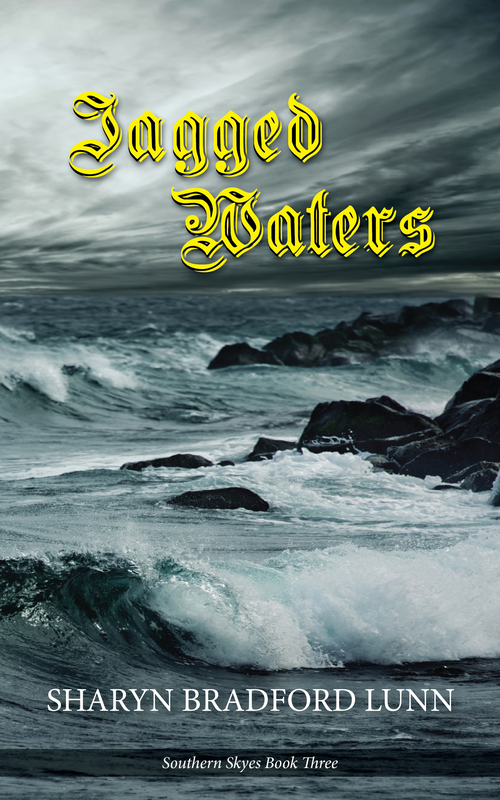 Jagged Waters is the third book in the Southern Skyes family saga, carving some exciting new names on the family tree. Spicy Irish miss, Mariah Malone, is a young convict unjustly condemned to New South Wales, Australia, to serve her sentence for life. During the transport, her ship encounters a frightening, rocky demise, and the handful of survivors are washed up on King Island to await rescue. It is during this time of uncertainty and fear, Mariah’s knowledge of the entrancing surroundings—both land and sea—of this Australian island and beyond stimulates her ever-tumbling thoughts. She also learns more about herself: her morality, her fortitude, and her destiny. And somewhere in the midst of that, she falls in love. And with this love, she creates a family of her own in Van Diemen’s Land, one that will inevitably carry her into the lives of the Skyes and McCabes, strengthening this family legacy through another gnarled joining, both tumultuous and enriching.